Do you know that feeling of 'Eureka'? It can be completely intoxicating and sometimes it makes you breathless and float, lol. Well, that is kinda how I have been feeling these past couple of weeks. It seems everyone only recently realised I have lovely, super curly, super full, natural hair resting peacefully on my head. Thus, I get compliments about it everyday. Now, that's enough Barbara, lol. Below are 3 of my recent most complimented hair styles. The comments that go with them most times though is "You are doing beautiful styles and not showing us how to achieve them. There is God o". I'm glad to say that I did a tutorial for all 3 of these styles. The video is 18mins long which is really long by youtube standards. 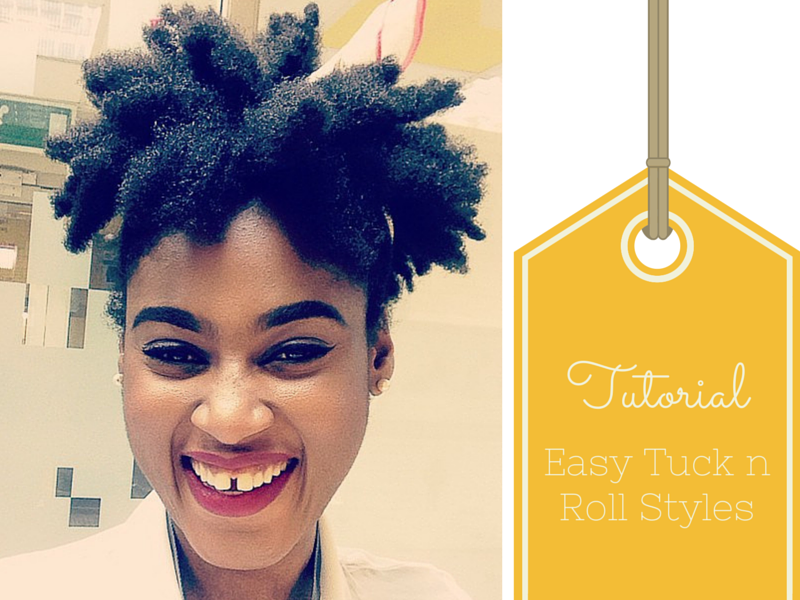 In my defence though, it shows how to create a tuck n roll as well as how I achieved 3 natural hair styles. Please, please, please, let me know what you think about the video. What needs improvement, your suggestions on what I can do next time and perhaps suggestions on what the next hair video should be about will be very welcome too.